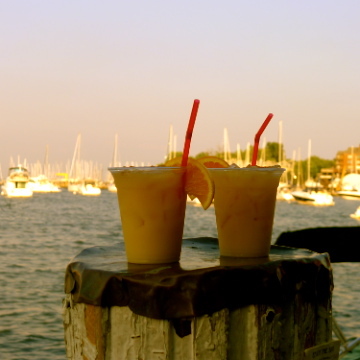 I'm not sure if it's the combination of tropical flavors or the relaxing waterside setting, but there's something about drinking a "Pain Killer" at Pusser's Caribbean Grille in Annapolis that always reminds me of when we used to live in Trinidad, the southernmost island in the Caribbean. Shake or stir ingredients and pour over ice in a tall glass. Sprinkle nutmeg on top and serve. But if rum flavored drinks aren't your thing, this YouTube clip of my favorite Trinidadian musician, David Rudder, singing "The Ganges and the Nile" will also give you a mini-break. Awesome post.Thanks For share this post with us. Ok, 1st up the materials, you would like to buy a skinny, tightly woven red string from your native arts and String Bracelet crafts store. Purchase a string that's manicured and decorated to a sleek end. The pull of the string ought to be taut. Avoid string that's meant for general weaving. While not many details have been released, the Academy of Country Music announced on Monday (Sept. 10) that the 54th ACM Awards Live Stream will air on CBS on April 7, 2019 from 8PM-11PM ET. The show once again is in its longtime home of Las Vegas, venturing to the MGM Grand Garden Arena for the second year in a row after moving from its previous venue at the T-Mobile Arena (to accommodate the Vegas Golden Knights playoff season schedule). Nice Post Bro.. Thanks for Sharing. God Bless You keep it up..
Stars: Brie Larson, Gemma Chan, Jude Law, Mckenna Grace, Samuel L. Jackson. IndyCar drivers are set to compete Sunday in the 102nd running of the 2019 Indianapolis 500 . The race is scheduled to start just after noon ET, less than an hour after Red Bull Racing driver Daniel Ricciardo won the Formula One Monaco Grand Prix. Danica Patrick, of course, is the biggest story at Indianapolis Motor Speedway. The 36-year-old driver will retire from professional racing following Sunday’s race at the Brickyard. Avengers endgame 2019 movie Watch And Download Online Free.